Some printers are set up using UserCode for internal billing purposes. If no UserCode is used one cannot print on the printer. 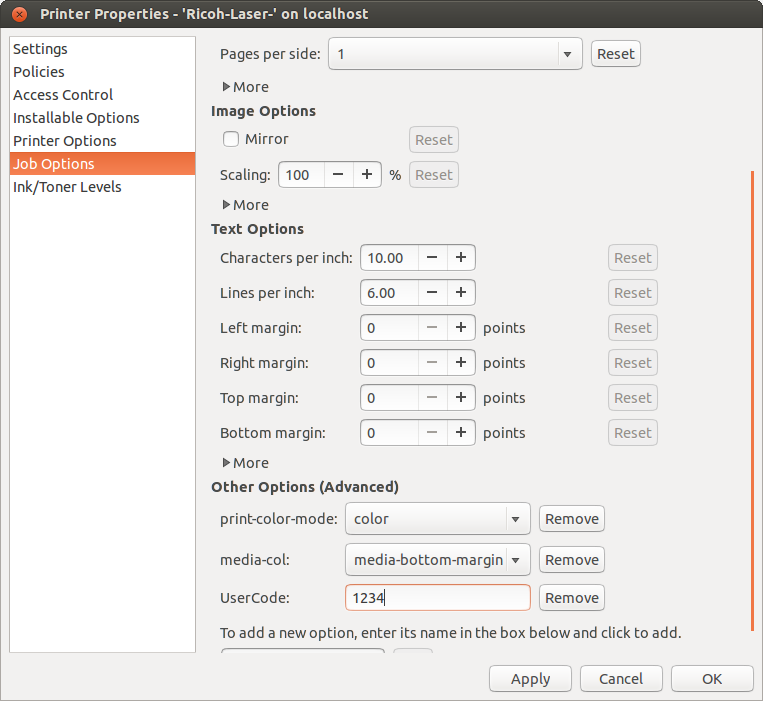 After adding a printer in Ubuntu, using the correct driver, select Properties for the printer. 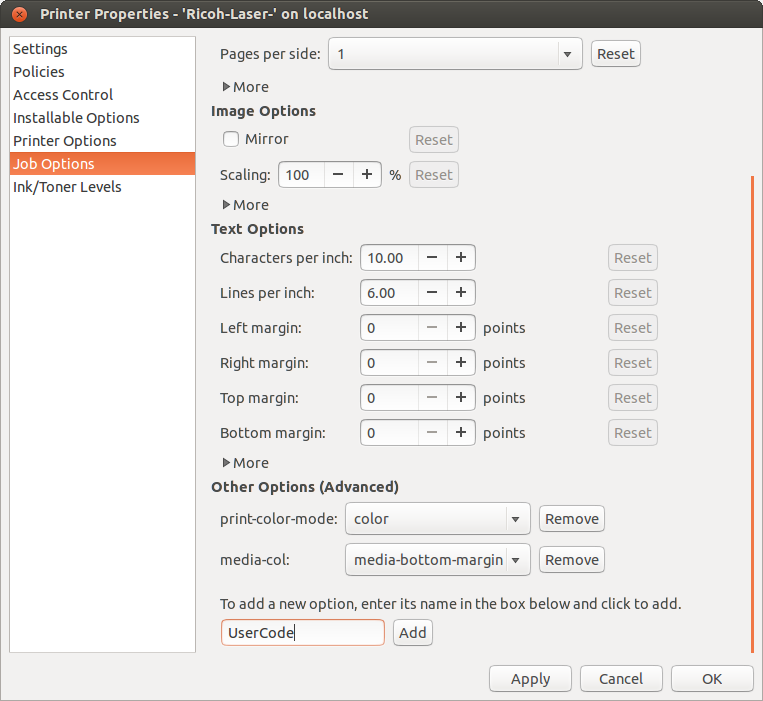 In the Printer Options set User Code to Custom UserCode. In the Job Options add a new option called UserCode. Enter the code here in the new UserCode option.